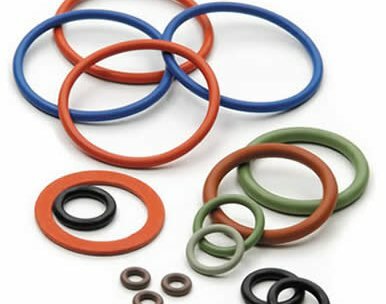 We are manufacturers of OEM seals from specialised engineering plastics. Our main manufactured products include nylon washers, nylon NPT washers, fibre washers, skid washers, backup washers, backup rings and split washers. 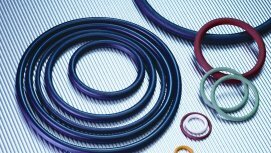 Alongside our manufactured products we can also supply O rings, O ring kits and O ring Cord, bonded seals, V rings, U rings, X rings, FEP encapsulated O rings and custom moulded rubber parts. N & L Seals Ltd - our main manufactured products include, nylon washers, nylon NPT washers, fibre washers, skid washers, backup washers, backup rings, split washers. 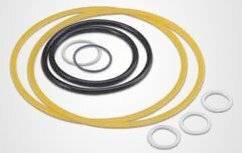 Alongside our manufactured products we can also supply O rings, O ring kits and O ring Cord. Nylon washers, nylon NPT washers, skid washers, fibre washers, backup washers can be produced from pressed OEM tooling up to 1.6mm thick to customer specifications. 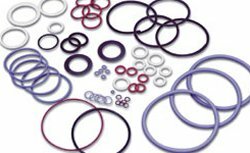 We can also supply machined nylon washers, nylon NPT washers, skid washers, backup washers which can be produced over 1.6mm thick using other techniques such as lathes, CNC, and autos. Nylon washers, nylon NPT washers can be produced from nylon 6 and nylon 66 materials but can be produced in other Engineering plastics, such as, Acetal, PTFE, and Delrin. Nylon washers can be offered split. NPT washers can also be made from Red Fibre.